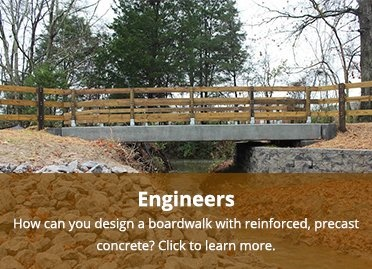 These boardwalk design pages are meant to be open resources for landscape architects, engineers and parks & recreation professionals for learning more about boardwalk design, regardless of the materials used. 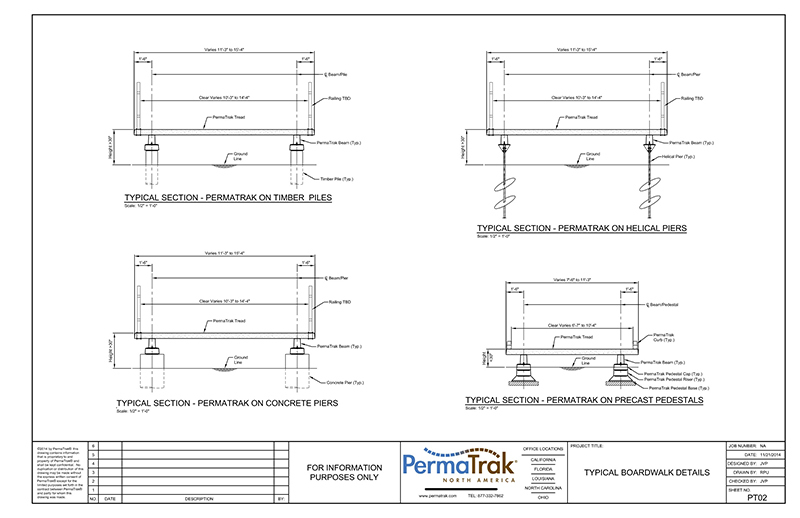 If you'd like more design information specific to PermaTrak, please visit PermaTrak Technical Info. 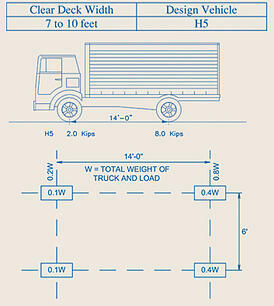 Also, this set of pages is dedicated to sharing more information about commercial boardwalk design. If you are looking for more information on residential decking products, the PermaTrak product is most likely not the right material for you. The pages below discuss boardwalk design for structures that have thousands or millions of users each year, often in harsh environments.